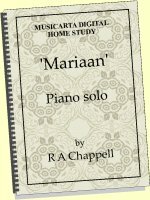 This is a sampler page for the new Musicarta home study KEY CHORDS Volume One download, now available at just $14.95. 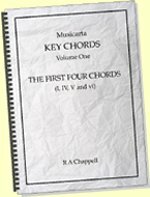 For an overall introduction, click through to the Key Chords home page here. This and the other sampler pages are here to give you an idea of how Key Chords will help you learn to play great riffs with just the four most used chords in popular music. 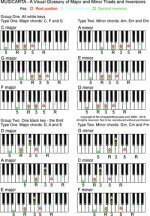 Click through to the other sample pages using the series navbar in the right hand column to decide whether Musicarta Key Chords Volume 1 is the keyboard creativity course for you! 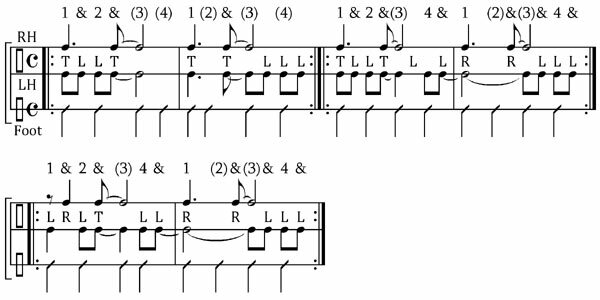 Sample Lesson One showed you how to find and rehearse the closest inversion pairs of chords I and IV in the key of C - the C and F chords. 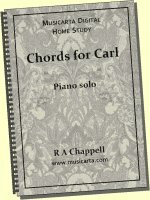 The next module in the home study course does the same with the second pair of chords - I and V (C and G in our easy-C key). 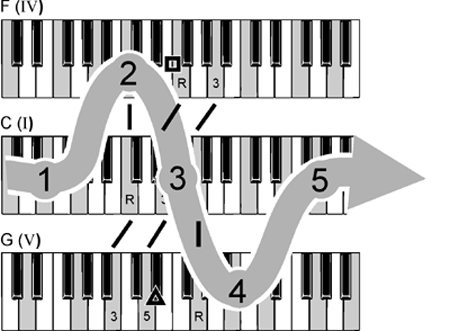 Using illustrations, music manuscript and audio and MIDI files, you find three closest inversion pairs of C and G chords and rehearse them in a simple riff. For most pianists, getting the rhythm is the most difficult about this riff. 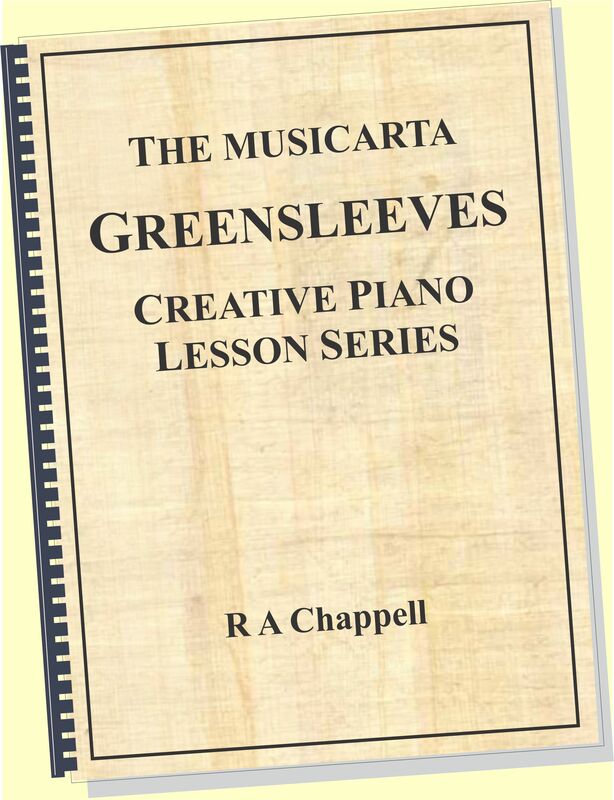 Fortunately, Musicarta specializes in teaching syncopated hand-patterning! It doesn't matter if you can't read the music, or if you find ties in music confusing - you just follow the tap-along track. 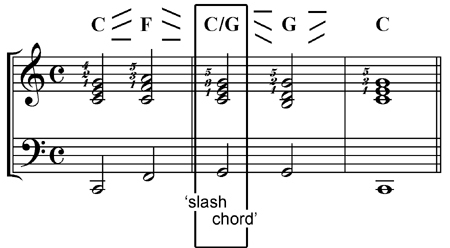 You have now rehearsed closest inversion pairs of chords I and IV (C and F) and I and V (C and G). The next stage is a gentle putting-together of all three chords in an Afro-jazz riff that swings through the home chord every time. Each of these stages has its own audio and MIDI files which you loop and slow down (MIDI) until you DO 'get it'! With playing off the beat and tied notes, written-out popular music is a real challenge - for classically trained musicians as much as anybody. 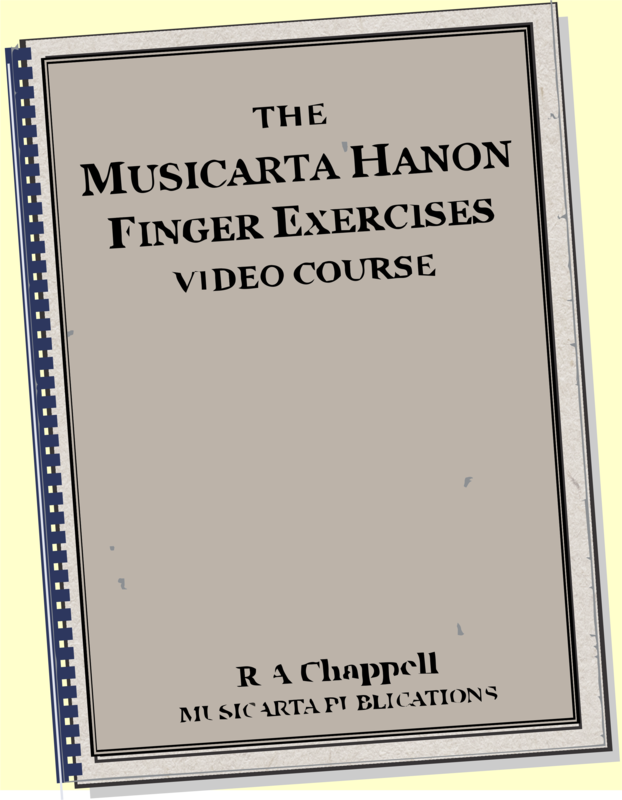 Musicarta offers an excellent chance to get to grips, so that when your big moment comes, you can count your way through! This section of the Key Chords workbook contains build-ups for no fewer than eight riffs. Here's a selection. Watch this build-up on Musicarta YouTube. 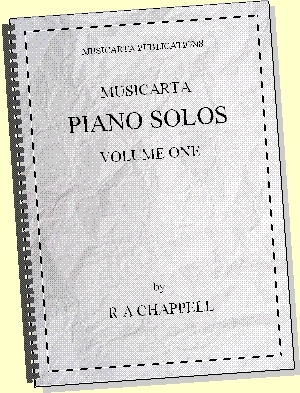 All the music, audio and MIDI for these examples is in the download. Take a giant step - buy now! digital download NOW for only $14.95! But wait! There's more...! Click through to Sample Lesson Three to hear more of the riffs you could be playing with just three of the four Volume Key Chords - and see how Musicarta builds your stock of really useful (and only the useful!) music theory - "theory that works!" PUBLICATIONS Exciting digital home study packs!